Your itinerary includes some good beach time at Ocean Beach and Bells Beach. Give yourself a bit of retail therapy at Bruno's Art and Sculpture Garden and Tyde. 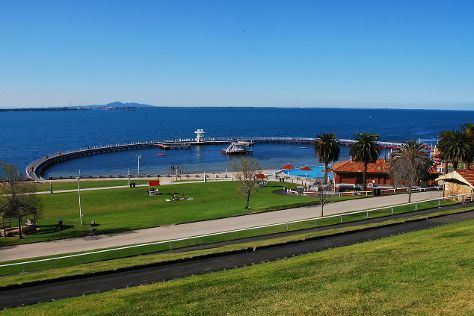 Get out of town with these interesting Melbourne side-trips: Eastern Beach Reserve (in Geelong), Split Point Lighthouse (in Aireys Inlet) and Ballarat (Ballarat Wildlife Park, Art Gallery of Ballarat, & more). Spend the 3rd (Wed) on a tasty journey with a beer tour and tasting. There's still lots to do: see what you can catch with a fishing tour, admire the masterpieces at ArtVo, explore the galleries of Phillip Island Grand Prix Circuit, and identify plant and animal life at Phillip Island Wildlife Park. To see more things to do, photos, and more tourist information, read Melbourne trip planner . If you are flying in from New Zealand, the closest major airport is Melbourne International Airport. In March, daily temperatures in Melbourne can reach 30°C, while at night they dip to 15°C. Wrap up your sightseeing on the 3rd (Wed) early enough to travel back home.